Less complicated, cheaper and easier to install than any other systems. The single line Resistance System facilitates the supply of small doses of oil by mean of Metering Units. 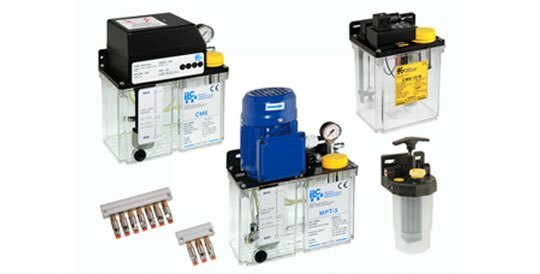 Both electric and manual pumps are available to ensure a discharge of up to 200 cc/ minute via range of Metering Units. Oil dosage is proportional to the pump pressure and oil viscosity.